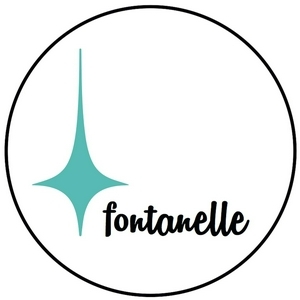 Welcome to Fontanelle, a paediatric educational podcast for trainees. I'm Caroline Storey, a paediatric trainee in Wessex, and I'll be joined by wise friends, learned colleagues and leading lights from around the region and beyond to explore common presentations, sticky situations, what's fresh and new, and what's coming of age in paediatric medicine. So if you've got an open mind for learning and a soft spot for the world of paediatrics, you've come to the right place! Sepsis can be deadly, but difficult to spot. Sepsis is life threatening organ dysfunction characterised by altered physiology. Capilliary leak leads to tachycardia, tachypnoea, reduced oxygen saturations, poor peripheral perfusion, reduced urine output and altered level of consciousness. Sepsis evolves quickly, but is easily confused with common viral infections, which is why we have sepsis screening tools, alerting clinicians to the possibility that this child could be septic. See http://www.sort.nhs.uk/Guidelines/Guidelines-diseases.aspx for the PIER tool developed and used by Thames Valley and Wessex, as well as SORT sepsis management pathway. For Paediatric Sepsis 6 see https://adc.bmj.com/content/99/Suppl_1/A93.2 For parent safetynetting sheets on fever, refer to www.what0-18.nhs.uk . Also worth looking at the NICE Guidelines on both Sepsis and Fever in Under 5s. This podcast explores the recognition and management of sepsis, as well as the difficult job of balancing the need to treat sepsis aggressively with trying to combat the rising use of broad spectrum antibiotics. How can we get better at managing sepsis whilst not overtreating simple viral infections? Please share and leave a review on iTunes 🌟🌟🌟🌟🌟 Find me on Twitter @Fontanellepod . Enjoy the podcast! I'm joined by Dr Charlie Powell to discuss abdominal migraine and associated syndromes - cyclical vomiting and benign paroxysmal vertigo. Debilitating, recurrent abdominal pain which is central, associated with pallor and being withdrawn in an otherwise well, thriving child. Associated with poor school attendance. Once red flags have been ruled out (see what0-18.nhs.uk) explore the history and consider this diagnosis. Charlie discusses excluding trigger foods such as chocolate, cheese, citrus and marmite, as these contain vasoactive amines. Moving on to medical management, consider pizotifen and propranolol for prophylaxis or tryptans for acute episodes in older children. Ondansetron can be used in cyclical vomiting. For cyclical vomiting support, Charlie recommends visiting cvsa.org.uk Please subscribe, leave a review🌟🌟🌟🌟🌟on iTunes and share with your colleagues. Any suggestions please to me, Caroline Storey at fontanellepod@gmail.com or on twitter @fontanellepod Thanks for listening! Lymphadenopathy in children is common and usually benign. How can we distinguish between harmless reactive lymphadenopathy and more sinister causes which might require treatment or further evaluation? Dr Phil Wylie takes us through the history and examination, showing us what to look out for so we can reassure parents all is well, or pick up cases which call for further action. Red flag features include nodes over 2cm and growing, supraclavicular and popliteal nodes nodes, fever, weight loss, night sweats, pain and itching, as well as hepatosplenomegaly, pallor and easy bruising. In this podcast we refer to the Clinical Pathway on Healthier Together https://what0-18.nhs.uk/download_file/493/0 If you enjoy the podcast please subscribe, share and leave a review on iTunes🌟🌟🌟🌟🌟 Please let me know if you have any suggestions by emailing me, Caroline Storey at fontanellepod@gmail.com Thank you for listening! Respiratory tract infections in under 5s represent two thirds of all presentations to primary care and ED. But why do we see so many of them? What are parents looking for when they bring their children to see a doctor? Dr Sanjay Patel, consultant in paediatric infectious diseases, says the data tells us that parents are not seeking antibiotics, but rather reassurance that their child is well enough to be managed at home without antibiotics. With the emphasis in popular media on serious illness, health-seeking behaviour is going up year on year, with a 25% increase in activity for under 5s with RTIs annually. In our increasingly risk-averse society, there needs to be a seismic change in health seeking behaviour, if we are to avoid the dangers associated with inappropriate antibiotic use. Severity, not aetiology of respiratory tract infections should guide decision making around antibiotic use. Reference is made to the SCAN Guidelines, which can be found at www.nhsantibioticguidelines.org.uk the PIER Guidelines at www.piernetwork.org and the MicroGuide app. Changes to antibiotic policy aim to improve compliance and include use of Amoxicillin for all respiratory tract infections, with a BD dosing regime of 40mg/kg, as well as shortening the course from 10 to 7 days in tonsillitis. Scoring systems discussed include FeverPAIN for suspected Group A Strep tonsillitis. Pneumonia can be diagnosed based on fever, and respiratory distress, with auscultation providing little to support a diagnosis. Please subscribe and leave a review at iTunes ⭐⭐⭐⭐⭐ and send me any feedback or ideas to fontanellepod@gmail.com Thank you and enjoy. Dr Sarah Williams, Consultant paediatrician with an interest in gastroenterology and nutrition, summarises her thoughts on important areas in nutrition such as managing patients in nutritional crisis, the importance of phosphate and tackling obesity. Reference is made to the very useful MARSIPAN Junior guidelines - See http://www.marsipan.org.uk Sarah spoke at the PIER Conference 2018 and I chatted to her between talks - Thanks Sarah. In this episode, Dr Clare Hollingsworth, consultant general paediatrician, discusses our favourite topic for these winter months: bronciolitis. Reference is made to the Wessex Healthier Together material, an excellent resource for those in both primary and secondary care, which can be found here: https://www.what0-18.nhs.uk Other topics in WHT to be covered soon on the show. Dr Dan Magnus, Paediatric Emergency Medicine Consultant at Bristol Children's Hospital came to the PIER Conference 2018 to talk about staff wellness and wellbeing. This was a tiny snapshot of some of the ideas he presented in his talk, but certainly gives you a taste of his motivation and ideas he's developing to help us all get involved in improving staff wellbeing. I'm definitely inspired, and am sure you will be too! You can check out his work at https://www.yougotthiswellness.com and find Dan at @drdanmagnus . And remember you don't need to set yourself on fire in order to keep others warm! Enjoy! 4. Writing right for publication with Dr Mark Tighe. Highlights from PIER 2018. I caught up with Dr Mark Tighe, consultant paediatrician and associate editor of Archives of Disease in Childhood. He shared some golden nuggets from his recent talk at PIER 2018 about writing right for publication. There are some super useful tips and ideas here, on how to prepare material in a way which is likely to be accepted by journals, and hence read by colleagues, which is, of course the aim. Particularly as we're all so busy and suffer from the rather wonderful sounding affliction - Tsundoku - the art of buying books and journals, and never reading them! In this episode I talk to Professor Mark Beattie at PIER 2018 about his keynote speech on Nutrition - Everyone's Business. He lays out the principles of nutritional requirements in various stages of illness and remission, using Crohn's as a model to illustrate these stages. He also shares his enthusiasm for PIER, innovation, social media and podcasting. Thanks Prof Beattie! Fontanelle Paediatric Podcast - Introduction.